I couldn’t resist the title. I apologize. Bear with me here. I know this has got to be an old topic for most of you. I mean the game is already over six months old. Plus this is for DLC. DLC that came out like what, two weeks ago? I know. I’m living in the past man! Well, listen here you future folk, I got something to say and you’ll hear it. Tonight we talk all about how awesome Mass Effect 3: Leviathan really is. In celebration of life and all of its infinite beauty, I’d like to invite the Internet on a roadtrip I took today to various nerd locations in the greater Seattle, Washington, area with a great friend of mine, Brenden. They say the journey is the real important part; our destination can be seen as the final stroke on an otherwise brilliant manuscript of adventures, challenges, and discoveries. My journey began a ways back when I was handed a copy of Mass Effect and told “Play this, you’ll like it. Trust me.” Trust him I did. 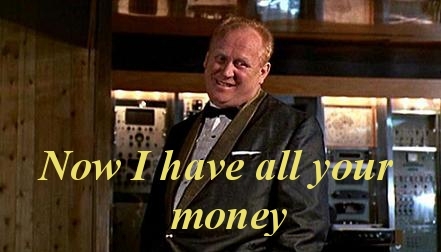 He was right (of course). Back in March (is it seriously already August?) I went out with everyone else and picked up my copy of Mass Effect 3, eager to take it home and experience the final chapter of my favorite science fiction universe ever. Now, finally, months later I feel like I’ve finished it. I’ve devoured this bit of wonderful story telling from beginning to end (twice). So let’s talk about it. Oh and be warned, there are spoilers here. There have been some big steps into the Sci-fi world lately; a world I really love and enjoy pretty much no matter what. This has got me thinking (dangerous I know) about some of my favorite sci-fi universes from the past. Battlestar Galactica, Star Wars, Star Trek, Masters of Orion, Firefly, and countless others have haunted my imagination for decades; constantly popping up with another wistful daydream of warp drive and the possibilities it might entail. There is one sci-fi property that was a more recent addition to my mental dreamscape; I’m talking about Mass Effect. I was late to this party (didn’t get an X-Box for a while so I was out of the loop for the first one and just didn’t bother with the second when it hit PS3) but have completely enjoyed everything about it I’ve come across (yeah I even liked the ending to 3 so there). While I still wait for the promised DLC to “finish” the story I’ve been musing about what it is exactly that I enjoyed so much. The title should more or less get you up to speed on what’s happening here: your classic once a year condensation of everything awesome that happened for twelve months. The last three years or so have been a pretty amazing time to be a gamer, and 2011 was certainly no exception. And as someone with no real genre preference, it was an overwhelming year to say the least. 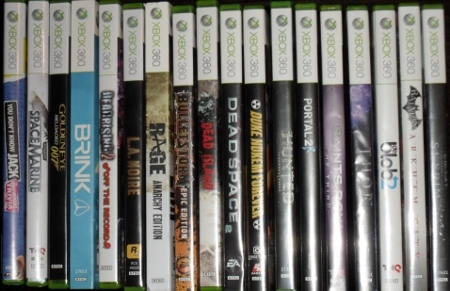 I feel a deep responsibility somehow to play everything that’s good, and that left me playing catch-up on 2010’s lineup for a large portion of 2011. To be honest, I still am. So realize, this is in no way a definitive “Best Of” list. I’m not a magazine, and I entertain no such obligations. These are the games that broke through the backlog, rudely shoving their way to the front of the line and demanding to be played immediately. And nobody could stop them or do anything about it, because they were so awesome. Also note that I am leaving off The Elder Scrolls V: Skyrim, which is by no means a slight towards that game-quite the opposite in fact. I am playing Skyrim with a devout focus that will one day be commemorated in the form of a Twilight Zone style cautionary tale. When the last dungeon has been satisfactorily cleared of bandits, I will emerge squinty-eyed and gray-haired from my apartment into a world of flying cars and harsh gorilla overlords. And besides, Skyrim will be on everyone’s list, you can get that anywhere. 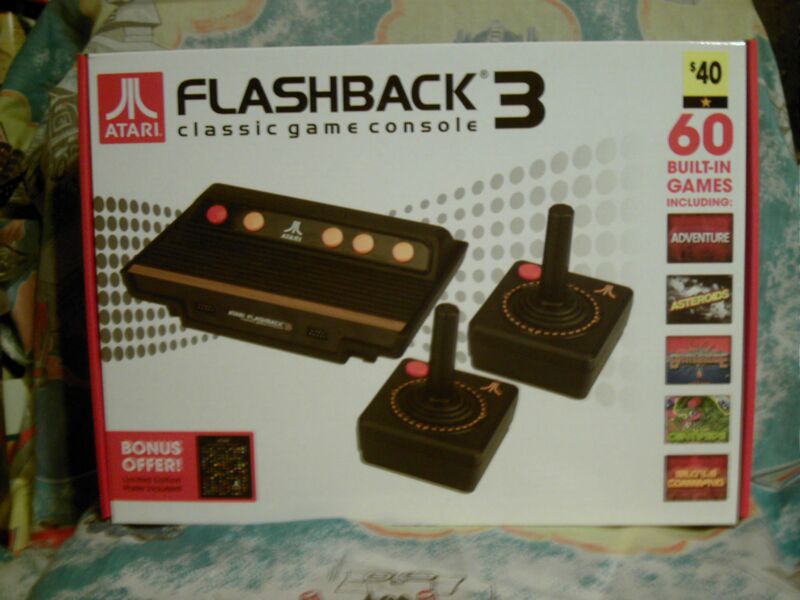 This year while browsing the ads for Black Friday sales, I noticed something called the Atari Flashback 3. I’d been following the Flashback line of consoles and I have the first two, but news of this one managed to elude me until now. I guess I haven’t been visiting AtariAge often enough.